Learn to access Oracle databases through SQL statements and construct PL/SQL programs with guidance from Oracle expert, Jason Price. 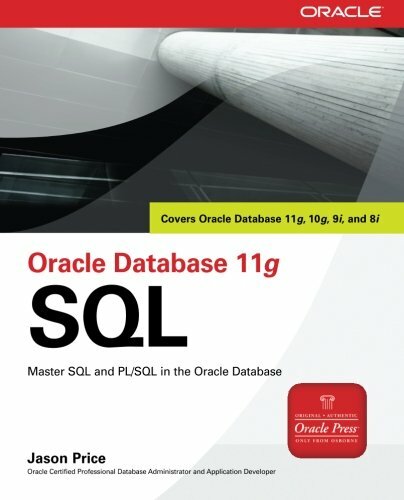 Published by Oracle Press, Oracle Database 11g SQL explains how to retrieve and modify database information, use SQL Plus and SQL Developer, work with database objects, write PL/SQL programs, and much more. Inside, you'll find in-depth coverage of the very latest SQL features and tools, performance optimization techniques, advanced queries, Java support, and XML. This book contains everything you need to master SQL. If you have any questions about this product by Jason Price, contact us by completing and submitting the form below. If you are looking for a specif part number, please include it with your message.